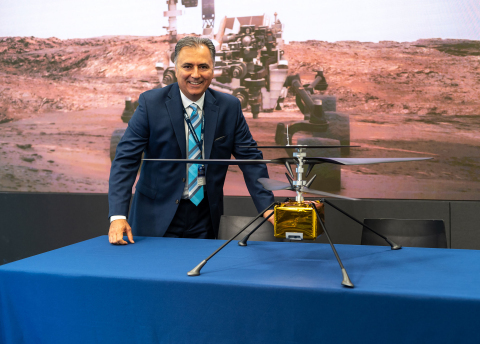 AeroVironment Collaborating with NASA’s Jet Propulsion Laboratory to Build First Drone - the Mars Helicopter - to Fly on Mars | AeroVironment, Inc.
MONROVIA, Calif.--(BUSINESS WIRE)--Jul. 3, 2018-- What does a company do when its trailblazing and diverse innovations for nearly half a century have redefined how the world drives and flies? When its many technological “firsts” include the first practical electric car, flying the Nano Hummingbird drone, record-setting, solar-powered aircraft flights in near space, and reshaping the battlefield with portable, hand-held, tactical drones and loitering munitions?